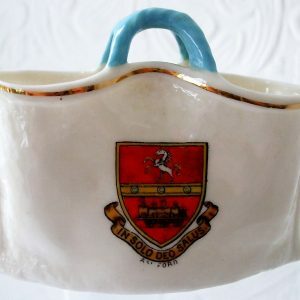 In the wake of the development of Britain’s Victorian railway system and the era of mass travel and holidays that this stimulated, a market for inexpensive seaside souvenirs quickly developed. 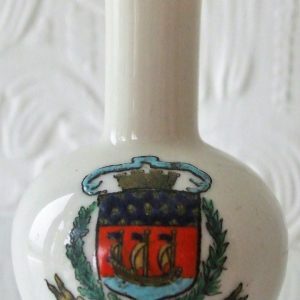 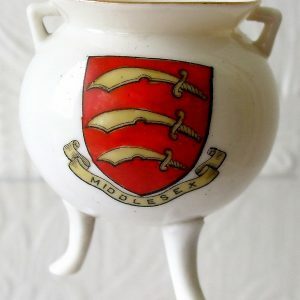 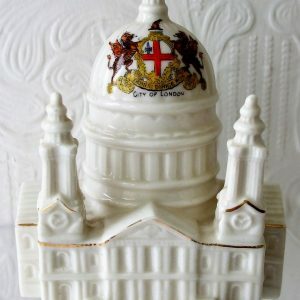 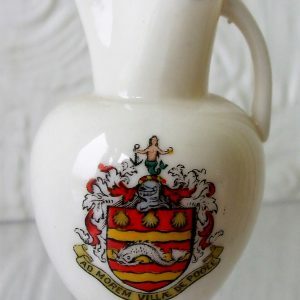 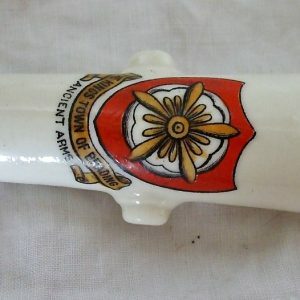 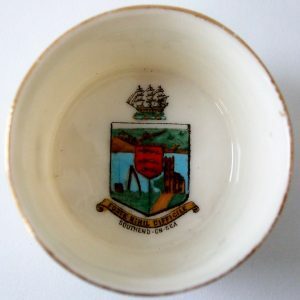 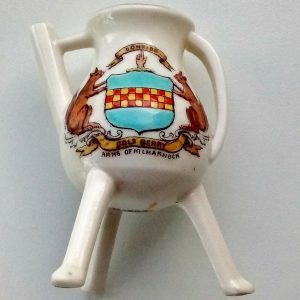 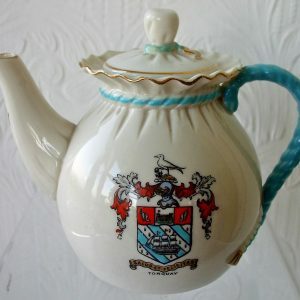 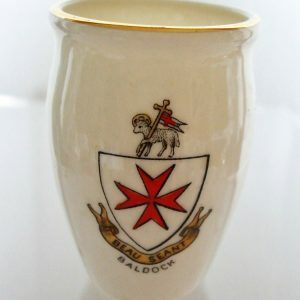 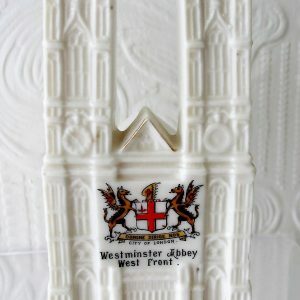 In meeting the demand thus created, the range of miniature porcelain pots modelled in the form of ancient Greek and Roman vases, each bearing the arms or crest of a particular town proved to be an outstanding commercial success for it’s creator, the firm of W.H. 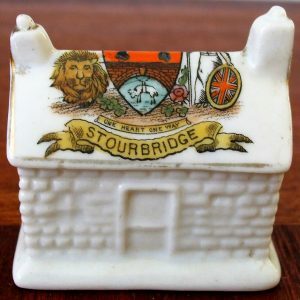 Goss of Stoke-on-Trent, encouraging other companies in “the Potteries” to produce models of their own. 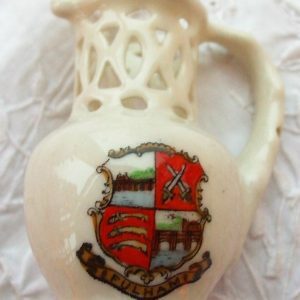 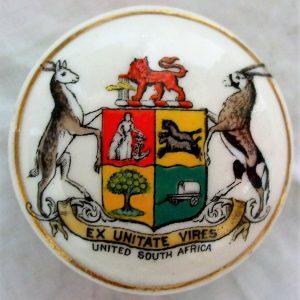 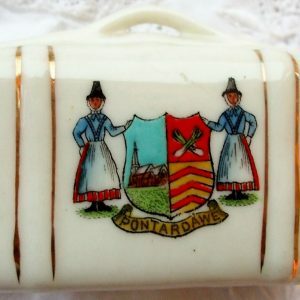 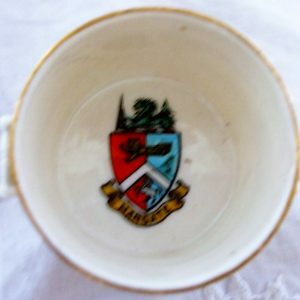 Having fallen out of fashion by the Mid 20th Century, the attractions of these “crested ware” pieces are now once more properly recognised and appreciated and are today eagerly sought after by a new generation of Collectors.